105.7 Radio Metro is the Gold Coast station where it’s literally ALL about THE MUSIC! Bringing you the very latest dance, RnB, top 40 & leftfield tracks from around the globe, presented by the hottest local & international DJ’s. 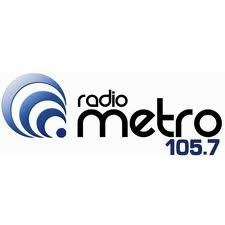 Hott FM changed its name to Radio Metro in 2001. Since then, Radio Metro has grown extensively and has received lots of positive media attention from local newspapers and television stations. Radio Metro is now located in brand new studios at Level 2, Circle on Cavill, Surfers Paradise. The station is available locally, nationally and internationally through the station website. Leading to many overseas DJ‘s and Record Companies contacting Radio Metro and offering their services and music for the Radio Metro playlist. Radio Metro is a community Australian radio station located in Surfers Paradise, Queensland. It is the only youth community radio station on the Gold Coast. Radio Metro originally broadcast as Hott FM in July 1995 from a shed in Nerang, Queensland on weekends with a weak mono signal. At the end of 1997, the Australian Broadcasting Authority (ABA- now the ACMA- Australian Communications and Media Authority) granted Radio Metro a full-time community broadcast permit.